Vienna is to force losses on Hypo Alpe Adria’s junior bondholders, even though the debt is guaranteed by regional government. States shouldn’t make a habit of writing laws to cover past mistakes. The result is fair, but the precedent is bad. The logo of Hypo Alpe Adria is pictured behind a traffic sign at the bank's headquarters in the capital of Austria's southern Carinthia province in Klagenfurt March 6, 2014. 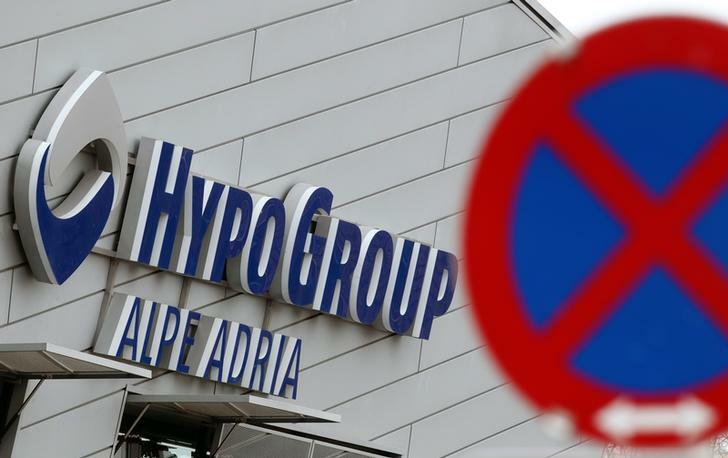 Austria’s government drew up draft legislation on June 11 to wipe out 890 million euros of subordinated Hypo Alpe Adria (HAA) debt guaranteed by the bank’s home province of Carinthia, officials told reporters. The move was intended to ensure that investors – and not just taxpayers – paid for the struggling bank’s run-off costs. Finance Minister Michael Spindelegger said the law would apply only to HAA. Raiffeisen Chief Executive Karl Sevelda on June 12 warned that taxpayers would pay a high price for the law as it would reduce investors’ confidence by threatening contractual rights more broadly.